Fill in your details below and we will let you know within 24 hours if we can get Phase 10 to you with haste! A rummy-type card game with a challenging and exciting twist! 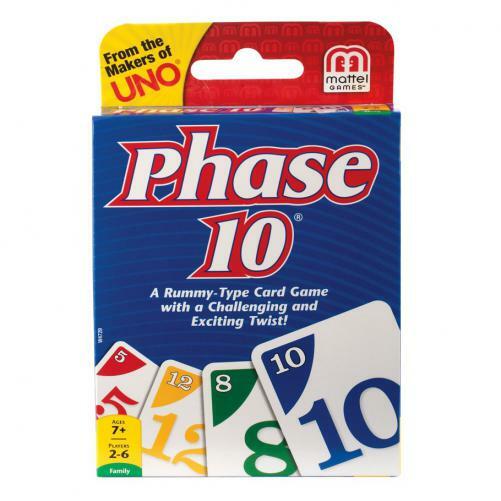 The object of the game is to be the first player to complete 10 varied phases - two sets of three, one run of seven, seven cards of one color and more. The twist is that each phase to be completed is specific for each hand dealt. Those who complete the phase advance to the next, but those that don't must try again.